Long-troubled comedian Artie Lange is reportedly sobering up in a New Jersey jail after testing positive for cocaine and morphine. According to his legal team, he’s scheduled to enter into a long-term treatment program any day. Posts from “Team Lange” on his Twitter account explain that Lange entered the Essex County Correctional Facility on January 30. This comes less than two months after he tested positive for several substances during a probation violation hearing in December 2018. According to his lawyer, Frank Arleo, Artie could be under lock-up until February 6 until he’s eventually transferred into a long-term inpatient substance abuse program. News of Lange’s recent trouble broke on January 30 when “Team Lange” posted that Artie would be “undergoing a long term treatment program”, wrapping up the post with “its time”. There seemed to be some confusion, however, when Lange’s lawyer suggested he may have been arrested for the violation. “Team Lange” once again took to Twitter on January 31 to clarify “Artie was not arrested and sent to jail… they are holding him a few days to sober up before transferring him to a long term treatment facility”. It appears he was booked into Essex County Jail but not sentenced while waiting for his next hearing on February 6. Artie’s lawyer Frank Arleo stated that his client “knows he shouldn’t have tested dirty, but he did. He knew what was going to happen”. He also added that his top concern is “finding a bed at an inpatient facility” for his client. Mounting legal trouble and failed attempts at maintaining sobriety are nothing new for Lange. During Lange’s December 2018 court appearance for a 2017 probation violation, he tested positive for cocaine, amphetamines, benzodiazepines as well as Suboxone. Artie’s lawyer claimed that his client had legal prescriptions for the benzodiazepines and amphetamines. It was also previously known to the courts he was using Suboxone to treat his opioid dependence. However, the cocaine use was an indefensible violation of his probation terms. 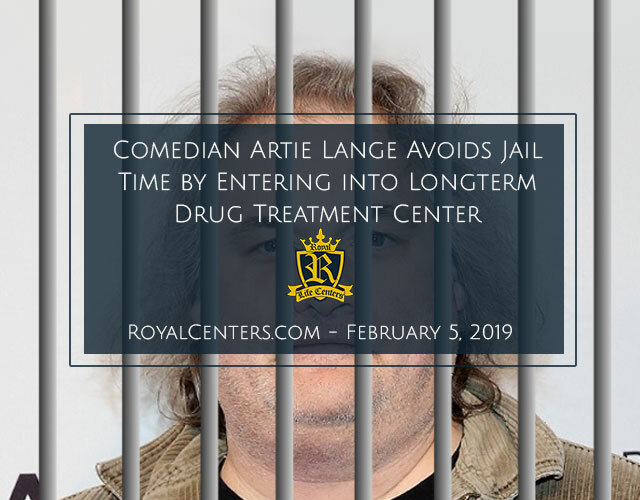 Luckily for Artie, the judge recommended that his attorney apply to have him enter into drug court, a strict, state-run rehabilitation program. The presiding judge also imposed that Lange completes his existing community service obligations in addition to his current four years of probation.